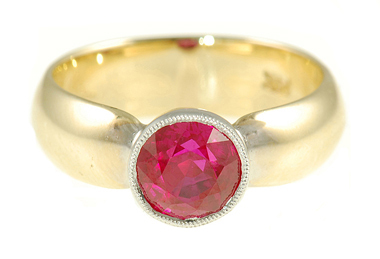 Custom Made Bezel Set Extraordinary Burma Ruby ring in 2 tone 18 karat gold - SOLD This custom, made to order beautiful, yet contemporary ruby ring features an extraordinarily fine 7.00 mm Burma round ruby. 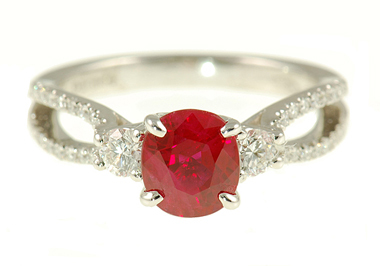 The size and shape (7mm round) of the ruby is very rare and very difficult to come by in this high quality. 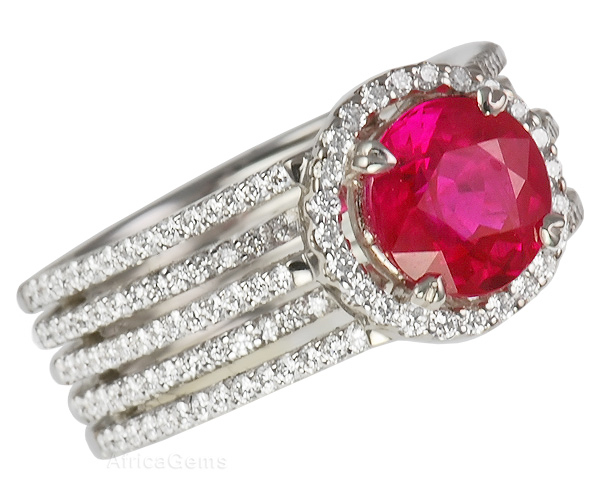 Fabricated from two types of gold, the ruby is bezel set with white gold which really highlights the ruby�s color and sets it apart from the rings shank, which is made from 18 karat yellow gold. 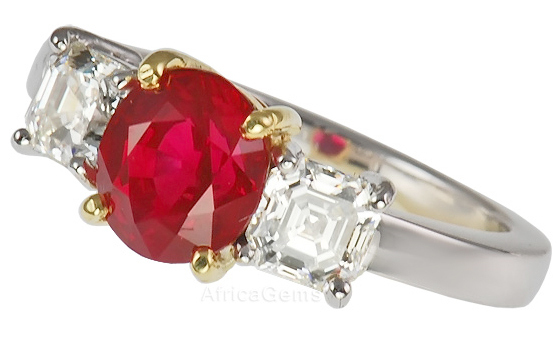 This elegant custom ring is from the well known, award winning jewelry designer Andrew Sarosi. 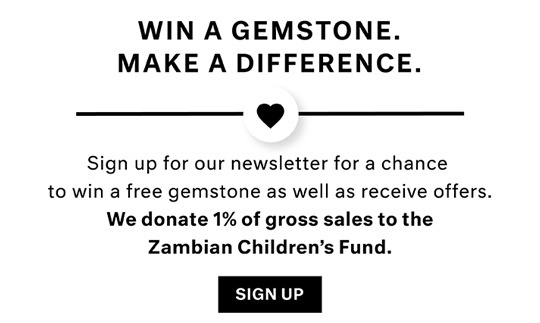 See his bio here and read about his jewelry design philosophy .